What were the top five countries in terms of the value of exports of goods/merchandise in 2014? In great summary, I argued that this far into the supply chain era, it is surprising there is actually so little industry knowledge of what a supply chain strategy is all about - and that a relatively small percent of companies have a formal supply chain strategy in place. 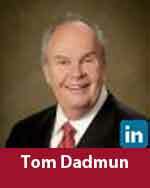 "You need a vision to guide folks," Dadmun says. "They need to be connected to your vision. They need to be a part of it." As evidence of that, I summarized some data I had collected from members of JDA Software's Demand Optimization Council (DOC), made up of some of its best retail, consumer goods and wholesale customers during meeting this Spring, which I get to attend as a contributing guest. I got survey responses from a little over 20 members, not a big number for sure, but as I noted two weeks ago, I am not sure the results would have been that different if I had surveyed 200 companies. 36% said they had a formal supply chain strategy (including one that had just gone through the effort for the first time), another 36% that did not have a formal strategy, and 27% which answered "Sort Of," a response choice I included correctly suspecting many would place themselves in that category. Compare that to results from a similar survey Paul Dittmann of the University of Tennessee conducted in 2013 that found just 18% of the members of his Supply Chain Forum had a formal written supply chain strategy. So, can we say just 18-36% of companies have a strategy exercise and document? I think that is quite likely, a probably more likely in the lower side of that range. And that is quite interesting, is it not? The survey responses were collected before the JDA DOC meeting. During my short presentation on the survey results, I ask all the attendees - almost all director level and above - to write down their definition of what a supply chain strategy is or should be. "A mission statement and objectives for the supply chain team." "A 3-5 year outlook/plan including integration of physical flows and technology required." "Overall plan to getting the right product to the right customers at the right time the most profitable way." "Maximum service level while optimizing inventory, distribution and transportation expenses, plus segment service offerings." "Forward looking plan of changes needed to reduce cost and grow revenue from the supply chain side of the house." "Short and long-term approach in how to satisfy product demand. 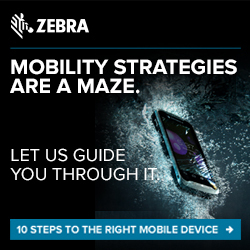 This encompasses the full lifecycle of delivering the product to the customer." "Plan of action to maintain and improve product flow from suppliers through production and the customer." "The future state defined in measurable terms that highlights the path to meet customer service targets at lowest possible cost." I have quite a few more, but you get the idea. I would say this: each one of these definitions has its merits, yet no two (including the other ones I didn't post here) are all that similar. Which just reinforces my point that as an industry I believe we in supply chain should have a more defined/accepted view of what a supply chain strategy is and looks like. That is not to say there needs to be a one size fits all model, but I suspect if I gathered a group of CEOs together and ask them to define a corporate strategy the range of responses would be quite a bit more narrow. So in further search of a definition, I reached out to some others I thought would have something to offer. That includes my friend Gene Tyndall, now at Tompkins International, who has helped companies develop supply chain strategies for many years. 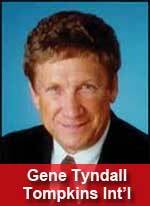 "Supply Chain Strategy is really operations strategy," Tyndall says. 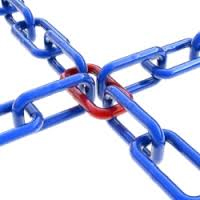 "A company should view its supply chains as the key component of its operations. While its business strategy is about products and markets, and why customers will buy its products, its operations strategy is about the capabilities necessary to fulfill those customer value propositions. So, procurement, production, distribution, transportation, and inventories all need the capabilities to deliver on the business promises." For example, he says, the capabilities to produce good products depend on quality suppliers and collaborative relationships; the capabilities to produce (or source) good products, on time and at target cost, depend on LEAN programs and world-class product quality; the capabilities to distribute to all customers depend on optimized networks and facility operational excellence; to deliver perfect orders, on high fill rates and on-time transportation. "Thus, each mega-process of the company's supply chain should be designed and executed according to the right operations strategy that aligns with the business strategy. The leading supply chain companies work toward this strategic direction consistently and measure their performance accordingly." OK, there is a lot there to consider. I then turned to Tom Dadmun, recently retired head of supply chain for network gear maker Adtran, who told me "I could write for hours on this topic." A supply chain strategy starts with "visioning," he says. That involves a developing vision of what the supply chain future will be and what KPIs (Key Performance Indicators) should be tracked to ensure continued success. "You need a vision to guide folks," he also says. "They need to be connected to your vision. They need to be a part of it. They need to know what is going on and how they play in it. Only then can they truly be part of the team. When folks feel engaged they feel ownership. They want to win, not just make the Boss win, so make them a part of the vision, solicit and incorporate their input. That makes it "our" plan." 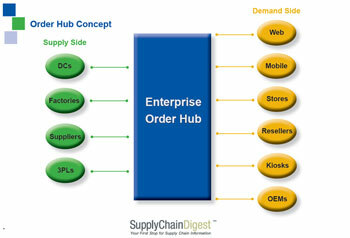 Dadmun also believes that today, a plan for improving visibility needs to be a core aspect of a supply chain strategy. "The best supply chain is one that is responsive," he says, and visibility is essential to achieve that responsiveness. He believes that for many companies today the overall a strategy needs to articulate a vision and plan for leveraging "Internet of Things" technology and capabilities, and - in an area where he has focused his thinking for many years - also include an overall plan for supply chain business intelligence and predictive analytics. So that's all pretty interesting too, especially in that Dadmun is saying there are likely to be a set of newer technologies/capabilities at any given time that need to be addressed in a supply chain strategy document. There's more, but I am going to leave it here for you to ponder. I will be back soon with more, including at last my own definition. Would love your thoughts. What is your definition of a supply chain strategy? Are you surprised we don't have a more accepted one in the supply chain profession? Let us know your thoughts at the Feedback button below. Q: What were the top five countries in terms of the value of exports of goods/merchandise in 2014? A: (1) China; (2) USA; (3) Germany; (4) Japan; (5) South Korea. Canada was number 11 and Mexico, number 13.